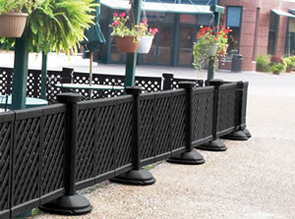 This decorative patio fence is durable, portable and easy to maintain. Made of strong plastic resin that resists fading. The posts can be filled with sand, water or even anchored to the ground for added stability. 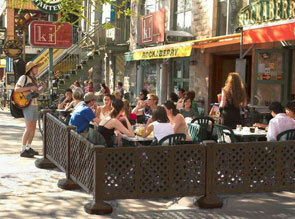 Panels can be assembled to define and design your patio space. 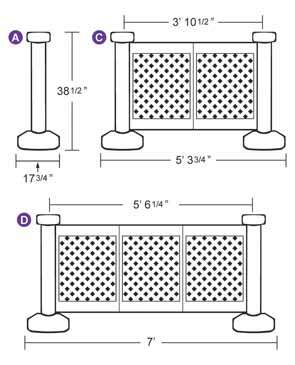 Decorative lattice panels can be assembled to define and design your patio space. UV Stabilized to resist fading. Made of 100% plastic resin, a naturally weather resistant material. The post and base can be filled with water or sand for extra stability. The base can also be anchored to the ground. Easily removable for storage at the end of the season. Can be power washed for easy cleaning. Will not rust or splinter. No painting, sanding or refinishing necessary. from Fence Panel Sections (C,D).